Let's explore buzzwords via an interview with marketing guru, pundit, and consultant Vic Montana. Yes, this is fiction. If this isn't your thing, we'll see you on Monday. Kevin: Vic, welcome to the show, nice to have you here today. Vic: It's a pleasure, Kevin. I love discussing best practices with thought leaders. Kevin: Why do vendors, trade journalists, researchers, and consultants insist on using buzzwords? Vic: I don't know what you're talking about? Kevin: Let's start with best practices. Vic: Can't live without 'em. Kevin: You recently wrote an article titled "Four Tips For Omnichannel Retailers". Do you remember the article? Vic: Of course, I wrote it! Kevin: It was underwritten by Woodside Research, correct? Vic: Vic's gotta get paid. Kevin: The first tip suggested that "brands" follow all established best practices. Kevin: Your fourth tip suggested that leading "brands" break all the rules. Vic: That's what separates the wheat from the chaff. Kevin: Doesn't the fourth tip violate the first tip? Kevin: You tell "brands" that they must follow best practices .... they must follow the rules ... then you tell "brands" that they must break the rules. Doesn't this create a form of circular logic that paralyzes a brand? Vic: The secret to these thought leadership articles is to make things sound simple, while in reality, we don't say anything useful, meaningful, or actionable. Further, what we're advocating is so complex that the brand must consult with us to solve a problem the brand didn't even know existed. Kevin: So you're not really advocating a strategy. You're trapping a brand in a maze of circular logic? Vic: It's all about creating personalized, relevant, engaging content. Brands who execute against this imperative will reap the rewards. Kevin: Do you realize that nobody outside of your profession speaks like you speak? Vic: Language is the purview of the thought leader. Kevin: How do you personalize your efforts? Kevin: Your mind-warping sentences suggests that brands who personalize content will reap the rewards, whatever that means. And yet, vendors offering personalization solutions consistently broadcast their message without any personalization at all (see below). How do you reconcile this issue? Vic: There's nothing to reconcile. Customers love personalized messages. 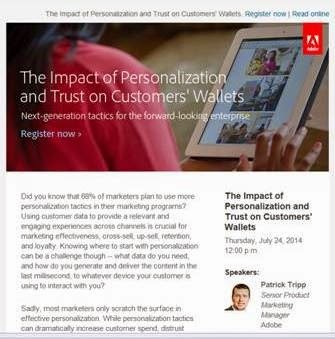 Kevin: But you and most vendors don't personalize your own marketing efforts? You broadcast your message via trade journals or Twitter. Vic: Personalization is really hard. 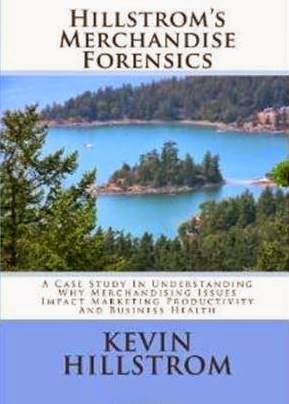 Kevin: So your clients must personalize everything, but vendors, trade journalists, researchers, and consultants are off the hook? Vic: I'm just saying that brands must create relevant content in order to engage today's savvy consumer. The digital revolution has put the customer in charge. Kevin: So in 1994, the customer wasn't in charge? Vic: Why are you being argumentative? It's obvious that a mobile consumer is a savvy consumer. The consumer can pick and choose brands at the whim of a finger swipe on a smart phone. Kevin: I don't call humans consumers. I call humans "people". Vic: Look, Woodside Research surveyed 204 likely shoppers. A majority, 53%, said that they prefer a seamless cross-channel experience fueled by a social strategy that is implemented within the mobile ecosystem. Kevin: What was the confidence interval around the 53% estimate? Kevin: The confidence interval might be +/- 6 points. It's possible that only 48% of customers prefer a seamless cross-channel experience, a minority of customers! In that scenario, you'd be steering my clients in the exact wrong direction, all because of sampling error. Vic: Now you're just twisting information for your own benefit. Kevin: This comes from a person that was paid to write an article telling "brands" to follow all established best practices while simultaneously breaking all the rules? Vic: Listen, that article had the highest level of engagement on the Omnichannel Retailer website in July! Kevin: What good is engagement? Have you been able to link engagement to profitability? Vic: In order to cater to today's savvy consumer, you have to engage the consumer with relevant content. 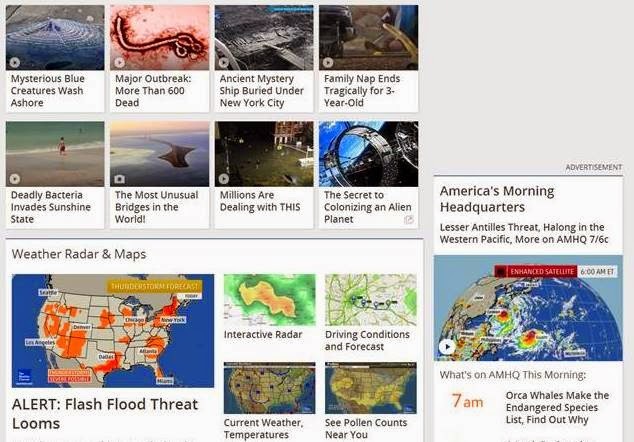 Kevin: Like when I visit Weather.com and am given opportunities to read articles like the ones listed here, correct? Vic: Can you imagine the page views and revenue they generate from engaging content like "The Secret to Colonizing an Alien Planet"? Kevin: I only visited the website to obtain the five day forecast for Twin Falls, ID. Vic: Modern marketing is like the lunch buffet at the Golden Corral ... take one of everything. Nobody has time for long reads. Vic: It's an omnichannel world, Kevin. Your content strategy must be agile, relevant, timely, and anticipated. Then you have to optimize all of it. Kevin: If the content is anticipated, then why even send it in the first place, given that the customer has already anticipated it? Vic: I'm not sure what you mean by that? Kevin: Exactly. Anyway, what does omnichannel mean to you? Vic: Brands who do not employ a comprehensive omnichannel strategy are destined for the scrap heap of retail history. Digital changed everything. Executives can no longer lead with blinders on. Kevin: Was there ever a time when Executives could lead with blinders on? Vic: I'm just trying to get Executives to deliver exceptional experiences across all channels. That's table stakes these days. Kevin: Like Circuit City, who was a pioneer in buy online, pickup in store? They did what the pundits told them to do, and they went out of business. Vic: That was before the SoLoMo movement fundamentally transformed retail and marketing forever. Everything changed. Vic: Social, Local, and Mobile. Vic: All fueled by beacons. Beacons represent the great promise of the omnichannel movement. 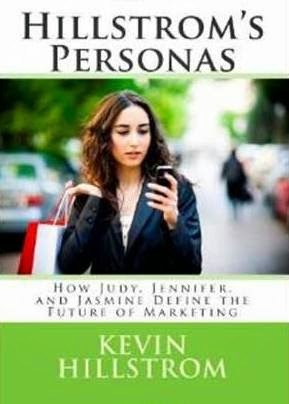 Kevin: Because customers love being tracked in-store, right? Customers love the dream of pop-up promotions ... "did you not like the orange color of those shoes ... why don't I offer you 20% off right now if you take the orange shoes to a sales associate holding an iPad?" Vic: Look, there are industry leaders like Gap or Macy's, companies who are following the omnichannel playbook and are reaping the rewards. Then there are companies like Tiffany, one of many luxury retailers who are laggards. Kevin: Tiffany grew by 40% over the past five years. Gap and Macy's were lucky to grow by 10% to 15% over the past five years, growing roughly at the rate of inflation. Vic: I don't like to reflect on the past. I provide thought leadership on the future of commerce. Kevin: So by employing the tactics and strategies you advocate, brands can perform like Gap or Macy's? I mean, who would want to perform at +40% over five years when you could experience tepid growth by aligning all channels into one big bowl of omnichannel soup? Vic: Tiffany has a different value proposition. They don't count. Kevin: I thought in tip number four, brands must break all the rules? Isn't that what you said? Tiffany isn't following your rules, they are breaking your rules. Vic: Look, I'm just trying to help leading brands compete for the mind share of today's savvy multi-device omnichannel shopper. Kevin: Don't you find it funny that with all these devices, all these channels, and all these options, the customer who is, as you say, "in charge", does not spend more, when adjusted for inflation, than what the customer spent twenty years ago? Vic: Did I miss a Woodside Research report? Were they commissioned to draft a new thought leadership download? How did I miss the metric you just cited? I pay Woodside Research tens of thousands of dollars a year so that I have the metrics necessary to pen my articles. Kevin: If omnichannel was so powerful, then wouldn't Amazon crumble under the intense pressure of retailers who have a better value proposition? Why buy a book from Amazon when you could visit your local Barnes & Noble store? Oh wait, Borders failed, and Barnes & Noble is struggling, while both adhering to your bricks 'n clicks theory, correct? Vic: Amazon is an outlier because they are evil. Just ask Hachette and other book publishers, they'll tell you horror stories. Kevin: Do you realize that customers pre-pay Amazon for a year of shipping, having not purchased anything yet? And you want retailers to compete by offering discounts, promotions, free shipping, personalized and relevant and engaging content, buy online and pickup in store, ship to store, ship from store to home, and whatever supplemental nonsense you think is necessary, all because Woodside Research was commissioned to write a report that showed that 53% of 204 respondents wanted an integrated omnichannel experience? You whole premise is based on what 108 likely shoppers think!! Vic: The facts speak for themselves. Vic: Pay attention to catalogers. They were obliterated by Amazon. They have to compete to win the omnichannel game. They should have put all their chips in the middle of the table and gone all-in. Kevin: What does that even mean? Kevin: Ten years ago, you told catalogers they had to be multi-channel in order to survive. They had to align their website with the catalog. Catalogers did exactly what you told them to do. Did they "reap the rewards"? Absolutely not! By executing against the multi-channel strategy you authored, they ignored younger customers and instead focused on the core customer. Today, that core customer is 60+ years old, often lives in rural areas, and is disconnected from the omnichannel future you describe. You and your ilk are, in large part, responsible for trapping catalogers with a core customer base that won't shop in an omnichannel manner. assuming that it is relevant for customers to shop in an omnichannel manner in the first place. You are partially accountable for creating this problem! Vic: A problem that I can solve with the most current thought leadership available. Vic: Catalogers should have adapted to a changing reality. Kevin: They did. They did what you told them to do. Vic: They should have been more agile when it came to the mobile mindshift. Vic: Agility is important. You have to break down corporate silos and focus on the customer. Kevin: If that is true, then why do vendors and research organizations have sales staff that are part of their own silo? Wouldn't your profession integrate teams, putting analysts and technology experts and sales people in front of customers at the same time? Wouldn't your industry practice what it preaches? Vic: Oh, you don't want to put geeks in front of clients. That's a train wreck just waiting to happen. Kevin: So you are telling "brands" that they have to tear down silos in order to offer a better customer experience, but vendors and research organizations should keep silos because the process of tearing down silos would result in an unpleasant experience for customers? Vic: It can be unpleasant for any client to spend time with geeky math people. For instance, look at what I'm dealing with right now by talking with you? Kevin: I think we've covered enough ground for today. Vic: In closing, I'd like to say that truly agile brands have a genuine opportunity to capitalize on the mobile mindshift by transferring control of marketing to the consumer. I mean, everything has changed. Everything! Digital is now table stakes. By putting the customer in charge, social channels can be used to amplify the marketing message, growing the viral coefficient to levels that lead to increases in consumer mind share. At that point, the empowered brand tears down silos, offering a consistent, relevant, timely, and engaging content strategy across devices, because we all know that the average customer uses 3.8 devices between purchases. Coupled with tempting discounts and promotions (which are also table stakes in this highly competitive environment), the empowered customer purchases merchandise in-store, online, via apps, or on social platforms. Savvy brands can reap the rewards of an integrated strategy, but only if brands follow best practices while simultaneously breaking all the rules. These challenging economic times require bold thought leadership appealing to a savvy consumer. Grow or die! Kevin: You failed to mention selling merchandise and generating profit. But we learned a lot about earning mind share. Interesting. I'm sure my audience enjoyed our discussion. Vic: Let's do this again, ok? You read these things, don't you (click here to read Gap's Annual Report for 2013)? "Omni-channel helps create one experience - starting online and finishing in the store - for the customer." The vendor community will hate the one-directional theme of what Gap calls "omni-channel". "Our investments in omni-channel shopping initiatives may not deliver the results we anticipate." Did you notice that about half of Gap employees earn the minimum wage? So kudos to Gap for deciding to increase the minimum wage. But we wonder why retail is failing? We make sure that the most important piece of the omnichannel puzzle, the folks who actually interface with customers, get paid nothing (I'm not pointing at Gap here, I'm pointing at our industry). And we wonder why retail is failing? We'll happily spend tens of millions on technology, stuffing profit into vendor coffers, technology that pushes a customer into a store to chat with somebody that the retail industry rewards with a minimum wage. Not everybody does this, you know. We had numerous sales associates during my time at Nordstrom who earned more than $100,000 a year. And Nordstrom somehow belts out 13% pre-tax profit margins on very average gross margins. Think about it. Humans > Omnichannel. Humans > Marketing. By the way, across all Gap brands, e-commerce is about 14% of total net sales. I consistently observe three trends in retail. E-commerce is 30% to 40% of total sales, in large part because the online experience is so much more convenient than the in-store experience. E-commerce is 5% to 15% of total sales, in large part because the retail experience is so entertaining that online pales in comparison. E-commerce is 5% to 15% of total sales because the retail brand has yet to acquire the direct marketing skills necessary to grow online sales. You can measure this dynamic by analyzing e-commerce penetration by store distance ... the whole story will simply fall into your lap. Here were comp store sales increases in 2013, by brand. Old Navy Global = +2%. Banana Republic Global = -1%. 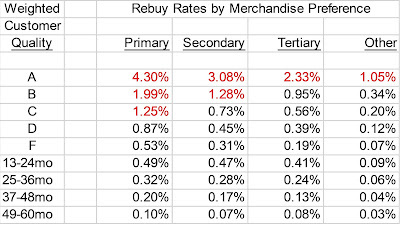 When you see retail comps in the +5% to +10% range, you'll know that omnichannel is working. This data provides a great lesson ... in the retail in-store environment, omnichannel is not working. You need to read these documents, folks. You hear so much from the vendor community, frequently negative and bitter and attacking in nature. You need to educate yourself on what folks on our side of the fence have to say about retail. 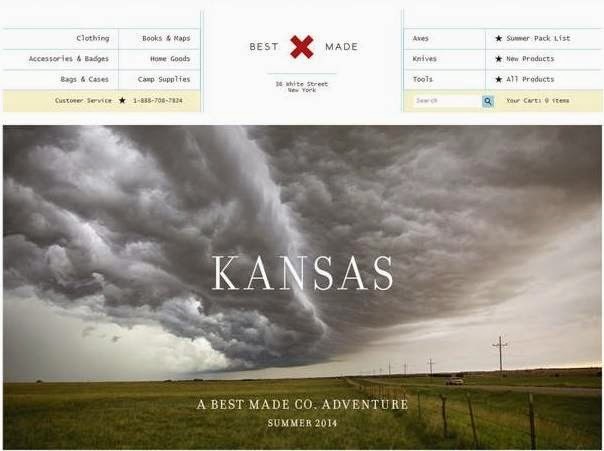 Read the subject lines from this leading apparel brand. These are actual subject lines, on the dates I received the message from this company. There are three things I want for you to think about. What is your overall perception of this company, after reading five weeks of messages? Do you think this company believes in the product they sell? If you were an Inventory Manager, how would you feel about the cadence of the discounts, given that fall apparel will be introduced next month? June 22: Save 30% on your order - ending soon. June 23: Ends today: 30% off your order. June 24: Save 30% on your order for one more day. (if you were pressured into ordering on June 23, ooops). June 24: Tick tock: 30% off. June 26: Limited time: 40% off swim! (if you were pressured into buying swim at 30% off for the past few days, ooops). June 27: Dive in! 40% off swimwear | Mens. June 28: 40% off swim, everybody in! July 1: Ends today: 40% off swim for the family. July 1: It's not too late! July 2: Light the sparklers: 40% off 2 items! July 3: Get ready for fireworks & save 40% on 2 items. July 4: 4th of July savings: 40% off 2 + up to 65% off sale items. July 5: Celebrate & save 40% on 2 items - ends tomorrow. July 6: Final hours to save 40% on 2! July 7: Sale on! 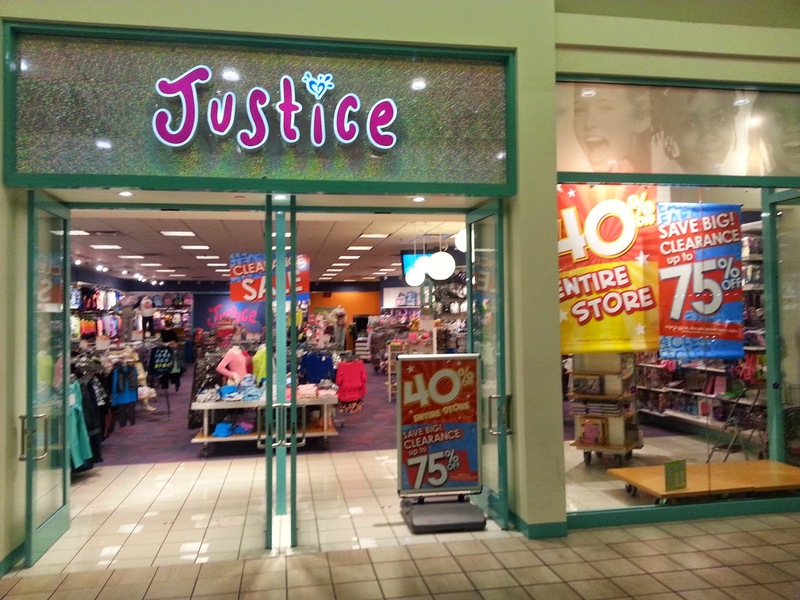 Up to 65% off (and to think I was getting a good deal on 40% off 2 items). July 8: All you need for summer is now up to 65% off. July 9: Summer at Lands' End: save up to 65% now. July 10: Summer Sale: beat the head with up to 65% off. July 11: Swim spectacular: 50% off (hope you didn't buy swim on July 6, or June 28). July 12: The swimwear you love, now 50% off. 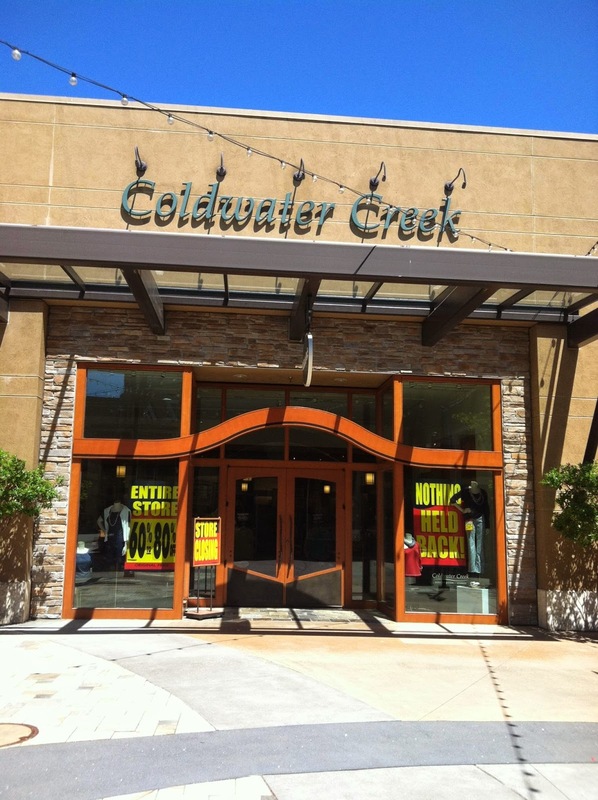 July 13: 50% off swimwear for the entire family. July 14: 50% off swim + summer's coolest shirts. July 15: 50% off swimwear & more ends today. July 15: Only hours left to save 50% on swim! July 16: 2 days only: 40% off all shoes! July 17: The buys of summer: now up to 60% off. July 18: Up to 60% off summer styles for the family (swim better not be a summer style). July 19: Sizzling summer sale - save up to 70%. July 20: Save now on swim & summer styles - up to 70% off (hope you didn't buy swim at just 60% off two days ago). July 21: Save up to 70%, beat the heat with cool summer savings. July 22: Last day to save up to 70% on the Buys of Summer! July 22: Only hours left! July 23: Today only! 60% off swimwear. July 24: Summer's Last Splash - up to 70% Off! July 25: Don't miss summer's last splash, save up to 70%. Have you read this ditty in The Wall Street Journal - about Filson Bags (click here)? What, in your merchandise arsenal, is considered "ubiquitous"? We keep focusing on how/where to sell what we offer. We need to think a lot more about offering merchandise people must possess. What Has Changed Since "Hillstrom's Merchandise Forensics"? It's the reason customers purchase from the businesses we manage. And in early 2013, it became obvious that many businesses crawled into a hole in late 2008, conserving cash, and never popped back out of that hole. Hence, I wrote Hillstrom's Merchandise Forensics (click here). See, I'd sit in meetings or participate on calls, listening to the marketing team get beaten over the head because the business was down 8% to plan. You'd hear all sorts of interesting comments. "Did you forecast the business incorrectly?" "Are your SEO efforts sub-standard? Why are we paying for terms that we could get for free?" "Email marketing stinks - nobody buys from email unless there's 30% off plus free shipping. You marketers ruined that channel, didn't you?" "Why do you insist on mailing the wrong customers all the time?" "Amazon doesn't have a catalog and they seem to be doing pretty well, maybe it is time to bring some of those folks in here to shake things up." Meanwhile, the merchandising team got less scrutiny. Much less scrutiny. Sometimes they were so immune to criticism that they piled on the marketing team. I conducted 27 Merchandise Forensics projects since conceiving the content in the booklet. In 22 of the 27 projects, there was a clear merchandising problem that was easy to understand, and potentially easy to fix. 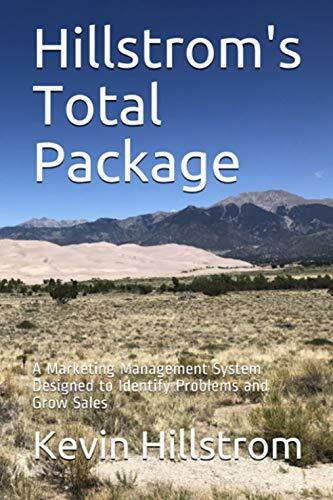 If the problem could be fixed, marketing productivity would immediately increase, and the level of criticism over marketing tactics would (theoretically) cease, or at least change to topics more strategic in nature. What changed since releasing the booklet? I get emails from many of you. I'm told that you've implemented the reporting in the book yourself, and you, too, learned that there are merchandising issues, issues that can be fixed. You've told me that company reporting focuses on counts (what sells, what day it sells, what channel it sells in), and does not focus on merchandise dynamics across time. That is changing. You tell me that both marketing and information technology folks are producing reporting that enables marketing staffers to understand how merchandise productivity is impacting the business. You tell me that you've restructured your departments, that you've added links between marketing and merchandising, matrixed relationships, so that each side can teach each other how the business works. You tell me that you've created new product goals. You tell me that you've created a "path to success" for items, giving more digital and print real estate to newer items moving up the productivity ladder. In other words, you've exceeded my expectations! You've done really, really good work. You decided that merchandise is truly important. And for that, I am grateful. What Has Changed Since "Hillstrom's Personas"? 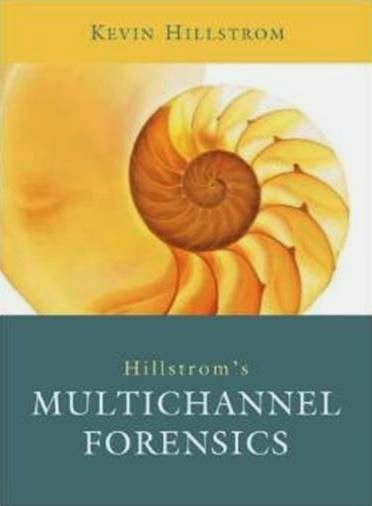 One of the primary reasons for releasing "Hillstrom's Personas" (click here) was because of the dramatic changes I was seeing in customer behavior, courtesy of the Multichannel Forensics framework. In the framework, it was becoming apparent that customers were no longer switching channels (i.e., to e-commerce). There was a large group of shoppers who simply liked shopping via old-school techniques (continuity programs, mailing a check along with an order form, purchasing via the telephone). These customers, it appeared, were "opting-out" of e-commerce. Similarly, on the other end of the spectrum, it was becoming clear that e-commerce was going to be eaten by mobile, among customers < 35 years old. The Multichannel Forensics framework showed that e-commerce was losing customers to mobile, and that mobile wasn't feeding customers back to e-commerce. It was the same trend I observed a decade earlier with catalogs and e-commerce, but now e-commerce was losing customers. When I explained the dynamic via the Multichannel Forensics framework, marketers offered me full, blank stares. When I explained the dynamic via Judy, Jennifer, and Jasmine, the world lit up. Anybody could understand Judy, Jennifer, and Jasmine. Once you release information into the world, you don't control how it gets used. How do we train Jasmine to love mail? I answered, "we don't train Jasmine to love mail, Jasmine is going to love what she loves, and right now, that's her mobile phone." Well, you could just see the disappointment in the faces of those sitting at the USPS table. Back in 2012, I presented Judy, Jennifer, and Jasmine to the crowd at NEMOA. I, of course, wanted to see catalogers embrace Jennifer, moving a portion of their ad budget to Jennifer, helping them grow. I presented Judy to the audience. You should have seen their faces. Cheeks brightened with joy. Attendees looking at each other with knowing glances. A general warmth spread through the audience. That warmth turned into a cold March rain shower when I put Jennifer up on the screen. I could hear an audible groan from five hundred folks. This catalog-loving audience DID NOT LIKE JENNIFER. At all. What changed since publishing this booklet? Catalogers have, by and large, moved all of their chips into the middle of the table, going "all in" on Judy. This was the exact opposite outcome from what I expected when I introduced Judy, Jennifer, and Jasmine to the audience. In the two-and-a-half years since publishing the booklet, catalog customer files have aged rapidly. I've been in numerous conversations where the CEO, President, or EVP said "our customer is Judy". Catalogers embraced Judy. The outcome is great for Judy. Thousands of companies now embrace a customer as she enters the retirement phase of her life. The outcome is not so great for catalogers. I recently asked an Executive "what happens when Judy, currently 61 years old, becomes 71 years old, or 81 years old?" The Executive looked at me and said, "by then, I will have retired, and it won't matter." Instead of teaching that Jennifer was an important bridge for catalogers to walk over in a path from the past to the future, many catalogers instead opted to blow the bridge up, staying on an island with Judy. It was the opposite outcome from what I expected. That's what changed, folks. You lose control over the information when it leaves your mouth, your keyboard, or printed pages. Maybe the catalog industry was pre-destined to adore Judy, and I'm the one being pig-headed here! Maybe following a customer cohort for thirty-five years, from young adult to middle age to retirement, is just the natural order of things. Time will tell. What Has Changed Since "Hillstrom's Catalog Marketing PhD"? This booklet came out at exactly the right time in history ... 2010, coming out of the Great Recession. Catalogers were busy finding ways to trim expenses. The key methodology in the book (click here), called the "organic percentage", would finally answer a question that nagged our industry for a decade ... "why, if matchbacks prove that catalogs drive online traffic, are catalog businesses not growing?" The organic percentage was derived from mail/holdout tests. Repeatedly, I noticed that when catalogs were not mailed to online buyers, half or more of the demand still happened. And in a retail environment, ninety percent or more of demand still happened! All of this demand was matched back to the catalog, causing catalogs to get credit for orders catalogs did not cause. It became obvious why matchbacks were touted so heavily by the vendor community. By giving catalogs credit for orders catalogs did not create, co-ops generated more revenue, paper reps generated more revenue, printers generated more revenue, merge/purge vendors generated more revenue, and basically all vendors supporting the catalog industry generated more revenue ... for them. I had to write the booklet. For the next twenty-four months, the consulting projects rolled in. 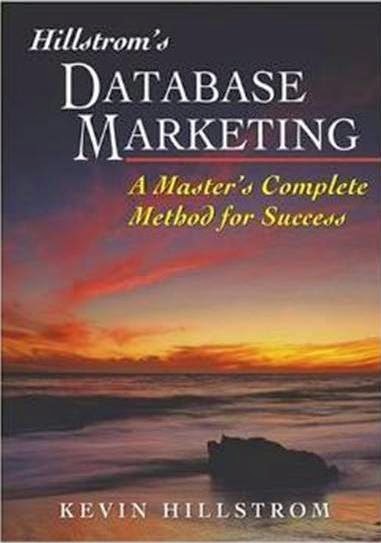 This book, coupled with blog articles, resulted in about 70% of my consulting revenue in 2011. The vendor community rebranded matchbacks as "attribution". Now, more sophisticated techniques are used to parse the twenty-four channels a customer touched, in order to understand how each channel impacted the order. Most of the time, the attribution routines are as flawed as matchbacks ... not employing any semblance of print mail/holdouts, email mail/holdouts, or search spending changes to identify incremental orders. And big data is the center square in your buzzword bingo game. Now, you have to combine data from myriad channels and sources, so that you can unearth nuggets of gold in your database. Your data has to be linked to "the cloud", so that vendors can absorb your customer purchases, merging them with social data and mobile data, allowing the vendor to make money off of you. Yup, your vendors slice and dice your data and re-sell your own data back to you, in a different form. In other words, the Catalog PhD seems dated in a world of a thousand channels, big data, and attribution routines. 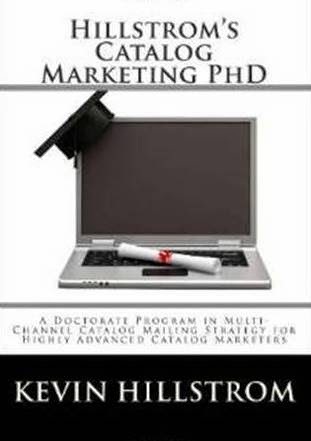 In reality, the concepts in the Catalog PhD booklet will help you be just that much smarter, because the concepts apply to the big data / attribution environment that dominates marketing four years after the release of the Catalog PhD booklet. What Has Changed Since "Hillstrom's Multichannel Forensics"? This $95 ditty was written in the 2006, published in late 2007 (click here). This was the peak of the "multi-channel" movement, a movement symbolized by the phrase "multichannel customers are more valuable than single channel customers". The logic still lingers today, in spite of having been debunked more times than can be reasonably counted. I got a reasonable amount of feedback from the book. The feedback came in three large buckets. You must be really arrogant to charge $95 for a book. It's obvious you don't know the first thing about book publishing. I'd love to try the methodologies in the book, but I can't write code, so your book is pretty much useless. When Google Analytics embraces your techniques, I'll know that what you are talking about is important. Could you please work on a consulting project for us, and tell us how our channels interact with each other? For a full year, this book provided a healthy amount of consulting income. Eye opening, folks. Eye opening. Books would become the second most important source of consulting income. No, not book income - I learned that you don't write books to sell them, you write books to establish yourself as a resource. The book looked at numerous business models, illustrating ways to understand how channels fit together. The book helped Executives understand that, at the time, customers were switching from old school ordering techniques (phone) to e-commerce, and that customers would not go back the other way (largely debunking popular old-school theories about customer behavior). The book predicted that e-commerce would be a primary driver of store traffic, something that held up well for several years. The book allowed the reader to figure out how best to grow a business, given the dynamics of the business. E-commerce and Mobile, that's what changed. The techniques in the book are well-suited for the massive shift from e-commerce / fixed location online tactics to mobile / fluid location tactics. The methodologies in the book help me understand what is going on in 2014. E-commerce, which largely supported retail and drove sales to retail, is changing, and is now effective enough from a discovery standpoint to reduce retail traffic. Mobile, among customers < age 35, is going to cannibalize and ultimately eat e-commerce. Mobile has the potential to steer traffic in and out of stores (think Yelp) much in the same way that Google steered traffic to various e-commerce sites. Many catalog customers no longer wish to shop via e-commerce. The methodologies outlined in 2007 now show completely opposite trends ... customers don't transfer from phone to e-commerce ... instead, e-commerce and phone are in isolation mode ... meaning that catalog businesses are frequently left with a 60+ year old rural shopper who actively chooses to not participate in e-commerce. In other words, the business models described in the book really don't exist anymore. Business is a lot more complex than what was outlined in that book. But nearly a decade later, the methodologies can be used to understand how mobile is interacting with our businesses. What we learn, folks, is going to cause us to think very carefully about the future of an online business. Have you had a chance to watch this video (click here)? What does bread and butter have to do with your business? EVERYTHING!! Do me a favor. Go take a walk through your merchandising department, and identify the one person who possesses this level of passion. Once identified, give that person an opportunity to represent your brand. Think carefully how the message in the video, about bread and butter for crying out loud, compares with the message you see below. Click here to read this article about restaurants and mobile. Seriously. Do it now. Use the comments section to describe how you'd fix this challenge. Think carefully how this change in behavior impacts your business. In an omnichannel world, you are supposed to align all channels with beautiful creative, impressive campaigns, and robust technology. You're supposed to tear down all silos (though the vendors who tell you to do this still seem to have siloed sales teams, don't they), and you're supposed to provide a 360 degree view of your business to the customer. Few, if anybody, talks about merchandise and creative. Your creative presentation says a lot about your business. 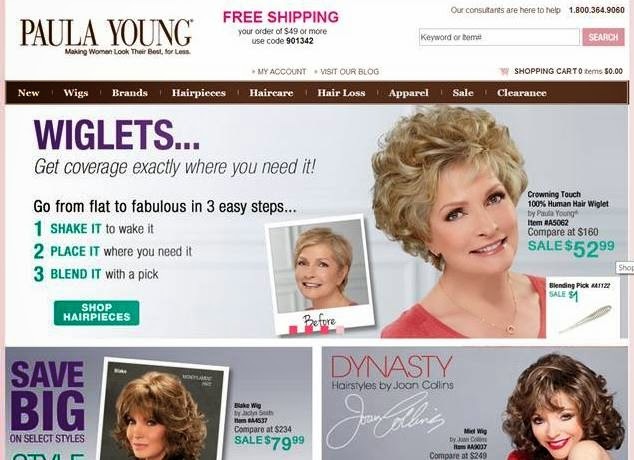 If you were a 27 year old looking for a wig, and you end up on the Paula Young website, you're more than likely to be presented with a creative style that is fundamentally different than what is appreciated by your generation ... and for good reason. Conversely, younger brands break all rules for home page real estate in an effort to sell to their customer. Go overlay some demographic data on top of your website - then measure conversion rates by creative presentation and age cohort. Modern omnichannel agendas frequently fail to quantify the influence of creative + demographics on selling stuff. I wanted a healthy portion of breaded lake perch, something you're not going to find in the Pacific Northwest. 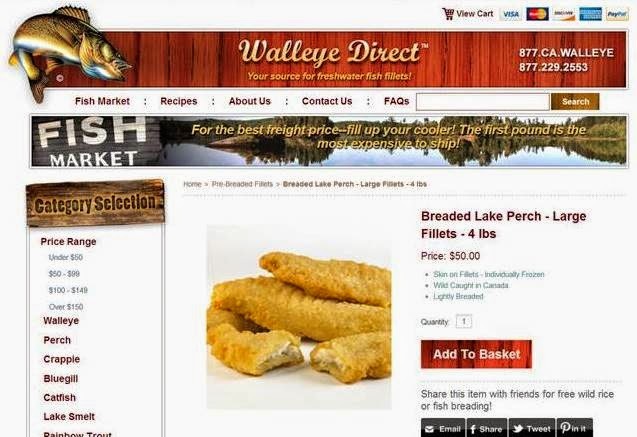 One simple search "breaded lake perch" took me to Walleye Direct (who knew), where, you can get all the breaded lake perch you could ever want. This is called "capturing demand". Walleye Direct did not create this order. Rather, they used marketing smarts to steer me to them, once I decided I wanted to buy lake perch. An entire generation of marketers have been trained to capture demand. E-commerce continues to grow because the first generation of online marketers have more than a decade of experience capturing demand. Think about it. Gap runs a commercial last year (click here) ... that commercial doesn't capture demand, rather, it creates demand (creating demand requires a whole different set of skills, by the way). Gap spent the money to create demand. Hundreds of companies compete to capture the demand created by Gap. Some companies are far better at capturing demand than others, leaving Gap at risk. We can all attest that retail (in-store purchases) is stuck in the mud. This is the logical outcome of the creating/capturing demand issue. 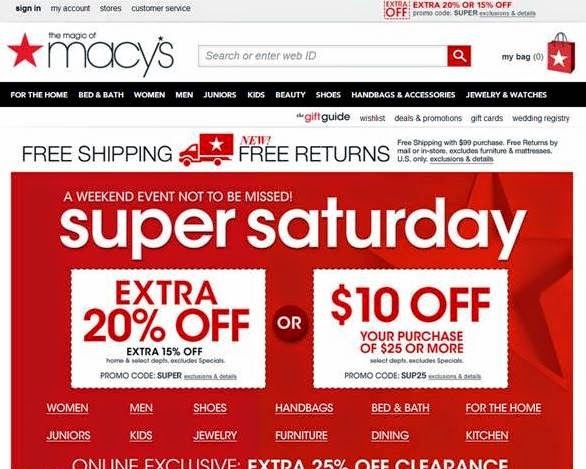 Retail is unable to capture demand effectively - why drive 20 miles to Macy's when you can sit at home and buy from Macy's ... or why drive to a Gap store when you can buy from Macy's online (or Gap online)? Retail has to change. Retail is terrible at capturing demand - meanwhile, retail "brands" are great at creating demand. And yes, I get it, retail still comprises more than 85% of purchases ... but we're not complaining about retail comprising the majority of purchases, we're complaining about the fact that retail (in-store purchases) is not growing. I think retail will become more entertainment-centric, it will have to, in order to better capture demand. This, not omnichannel, is the focus of the next half-decade.